Antitrust law is an economic doctrine that gives little if any weight to freedom of expression and other noneconomic values secured by net neutrality. Antitrust law defines harm in terms of higher prices and diminished product quality. If antitrust law deems that a practice is not harmful to competition, it does not matter how much it represses speech, distorts access to knowledge, or intrudes on privacy. Antitrust law has no concept of the "gatekeeper" problem posed by an ISP's control over your conduit to information. There are other reasons why antitrust isn't an effective tool for net neutrality problems. Antitrust law is fundamentally about protecting competition, but the market for broadband is very different than the theoretical ideal contemplated by antitrust law. Second, broadband service naturally tends towards monopoly. A large incumbent provider that can amass government permissions to use rights-of-way under public streets, on poles and antenna sites, and on the radio spectrum will always be able to offer cheaper service than a new entrant who has to pay to build the infrastructure and obtain new rights-of-way. Combine that with customers' notoriously unreliable access to information about service quality and broadband speeds and the high costs of switching providers, and you have a market that will not be competitive without intervention. We got a competitive market for dial-up Internet in the 1990s because phone companies were required to allow other service providers to operate using their infrastructure. We could have that kind of competition again if broadband providers were required to grant similar access. But unless that happens, we will not see meaningful competition of the type that antitrust law is designed to protect. Further, antitrust law has been eviscerated over the past century. Under the new "single entity doctrine," a company can't be accused of illegal collusion with its subsidiary or parent companies, so for example Comcast could make an arrangement to favor NBC-Universal content it owns without much fear from antitrust law. And a pair of Supreme Court decisions in 2004 and 2007 made it much harder to bring antitrust cases against companies in regulated industries, even if the regulations themselves are minimal. The dismal state of competition in broadband should make it obvious that current antitrust law isn't adequate even to protect competition, let alone protecting customers against data discrimination. There are a few types of non-neutral practices that could also rise to the level of antitrust violations, such as an ISP's accepting payments to block competing websites, (but accepting payments from businesses to block websites that criticize them would likely get a pass). 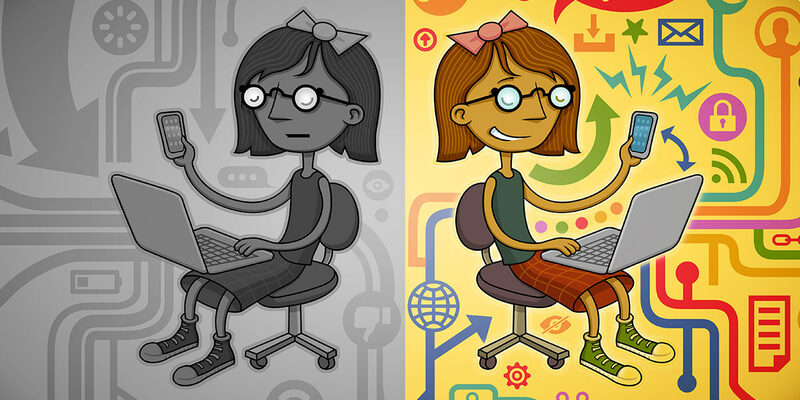 Title II, the current legal basis for net neutrality protections, is the legal tool that is specifically and narrowly tailored to prevent discrimination by carriers of information. In the past, the FCC has tried to stretch its other authorities to impose net neutrality rules—which alarmed us, since stretching those authorities to achieve something they weren't meant to do would be bad government and accrue too much power to the FCC. Those approaches were defeated in court, while Title II has been upheld. Now, opponents of net neutrality urge a return to those dangerous and ineffective approaches, or to antitrust—another legal doctrine designed to do something entirely different from protecting against data discrimination. It's not the right tool for the job. That tool is Title II, and those who care about net neutrality need to defend it.